Uganda's communications regulator on Wednesday ordered the country's main independent newspaper the Daily Monitor to shut down its website. UCC spokesman Ibrahim Bbossa said the registration issue came to light during an investigation into a complaint over an article which was lodged by parliamentary speaker Rebecca Kadaga. 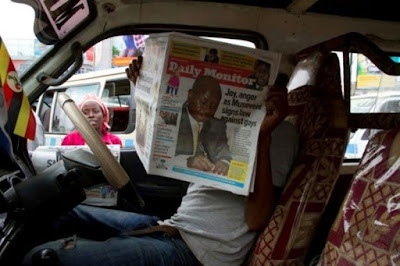 But he denied the move against the Daily Monitor's website was an attempt to silence undesirable coverage of the Speaker who is a prominent member of the ruling party of longtime President Yoweri Museveni.